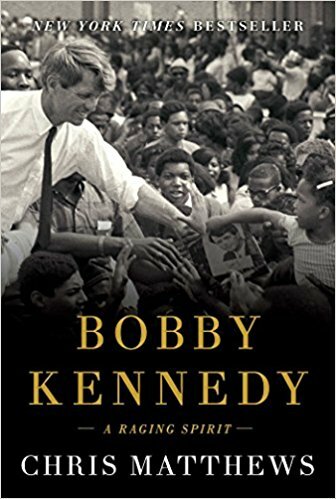 An in-depth portrait of Bobby Kennedy's political career, by Hardball anchor and Kennedy and Nixon author Matthews. ...a remarkable 42-year life that Matthews chronicles with considerable insight from beginning to end ... Robert Kennedy managed to forge a multi-racial class-based coalition at a time when white people were considerably more racist than they are today. In response to the current conditions of economic stress, we have seen the rise of a fake populist who preys on division. But what if a candidate instead sought to unite working class people across racial lines around an inclusive populism that blends compassion for the underdog with a tough-mindedness about the way the world works? Matthews raises the powerful reminder that Robert Kennedy did just that—and so could we. This is light hagiography, but well researched and open about its bias: a breezy bio, heavy on Irish Catholic identity. Matthews acknowledges Kennedy’s role in FBI and CIA fiascos and his part on Joseph McCarthy’s anti-communist team, but only in a cursory way. In Matthews’ telling, Kennedy slowly turned against McCarthy, who was his father’s friend; his choices on Cuba are cast in terms of honest error and regret ... Matthews does not try to pierce Kennedy’s private grief. 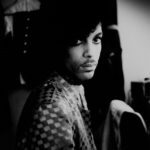 Instead he describes his change from a hard-nosed, moralistic enforcer to an ambivalent, more thoughtful leader. If ambition drove Kennedy, Matthews is willing to overlook it. By the end of the book, Matthews sets RFK up as a model for today’s Democrats, and suggests they pursue the coalition of minority voters, young people and white workers that he hoped to build. Chris Matthews has provided an excellent addition to the canon with his new book ... Matthews, of course, luxuriates in raw politics. In the dozen or so RFK books I’ve read over the years, I’ve never seen more detailed appreciation of the management style Bobby brought to his brother’s campaigns ... While Mathews stays away from sketching the painful details of Kennedy's assassination in the kitchen of the Ambassador Hotel in Los Angeles, his recounting of conversations that evening are haunting ... Chris Matthews evocatively brings the man and his moment back to life. It is a story that needs to be told again as a heroic counterpoint to the Trump era’s fundamental disrespect for the idea that politics can be a noble profession. What did you think of Bobby Kennedy: A Raging Spirit?